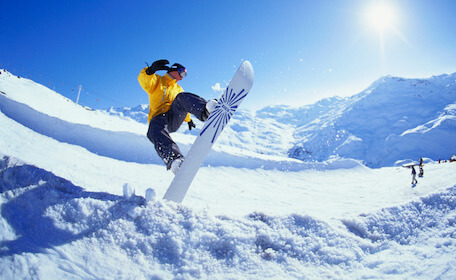 We love Queenstown in Spring and we love Queenstown in Autumn – so you best believe we love it in winter and summer too. Where else in the world can you go from adrenaline-fuelled fun after brekkie, to beverage in hand soaking in a hot tub at lunch? It doesn’t stop there though. Our specialist bucks party planners are on hand to tailor the perfect package to suit you and the lads. Wicked Bucks will do all the hard yards to ensure we’ve got enough activities to keep you yahoo-ing the days away. All you need to do is call the boys, pack your bags and get ready to celebrate your Buck’s final days of freedom in absolute style! Strap yourself in for the ultimate bucks party and get ready to unleash. From the minute you touch down in Queenstown, you’ll notice two things. First, the snow-capped mountains suddenly peering through the clouds. They look exactly like every postcard you’ve ever seen. When you’ve finished pinching yourself to check that you’re not dreaming, the second thing to grab your attention will be the friendly greeting from the customs and immigration officers at the airport- you won’t find a happier immigrations officer anywhere else. This peachy sweet city is situated on the South Island of New Zealand and it’s just a hop, skip and a jump from Australia. It would be rude to visit Queenstown and not unleash your inner adrenaline junkie – make sure you plan out your meal times carefully though, bungy chunders aren’t fun for anyone involved. If you were an eskimo in your past life, this place is your heaven. There are four ski fields in the region and plenty of buses passing through each day. There are awesome beginners areas and lessons for every age and level as well as a selection of green, blue, black and red (for the hard-core among us) trails to master. On some slopes you’ll find natural half pipes and drops, while others let you explore the beautiful backcountry. Snow bunnies eat your hearts out. For less snowy thrills, there’s bungy jumping, jet boating, skydiving, zip trekking, paragliding – the blood-pumping list goes on. not a fan of the cold? No worries. Just 10 minutes out of the CBD and you’ll be screaming “bathtime” like a five-year-old with a rubber ducky. These private, spring-fed hot pools are perched high on a cliff with retractable windows so you can soak in the stunning views. To step it up a notch, book your pool for after sunset and watch the glistening night sky overhead. It’s also the perfect remedy for your inevitably black and blue “skiier’s shins”. You might believe you’ve seen all the beauty possible in this town, but just wait until you see it from above. A 20-minute joy ride will traverse you past rivers, lakes and peaks. You’ll be able to spot tiny shepard cabins, Arrowtown, Lake Hayes and even more. An alpine landing on a grassy hillside with 360 degree views of this picturesque location will almost definitely be the highlight. 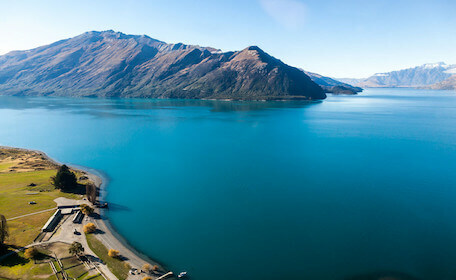 Although the picturesque scene of Queenstown may seem wholesome, once the sun goes down, this city is anything but that. Queenstown has rightly won the title for being the “Party Capital” of New Zealand. For any night owl, socialite or drunken moon cat, there are places for cowboys, apres skiing, dancing on tables, and a few quiet cold ones with the boys. 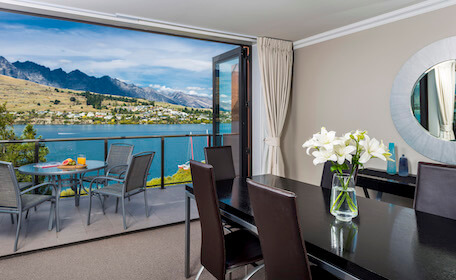 You’re bound to find something that will tick all your boxes in Queenstown. 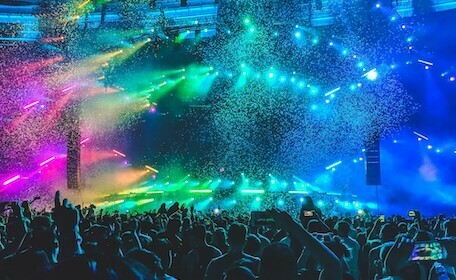 There party atmosphere isn’t reserved for weekends either. With plane loads of backpackers jetting in each day, Mondays could be your new favourite night to dance the night away.